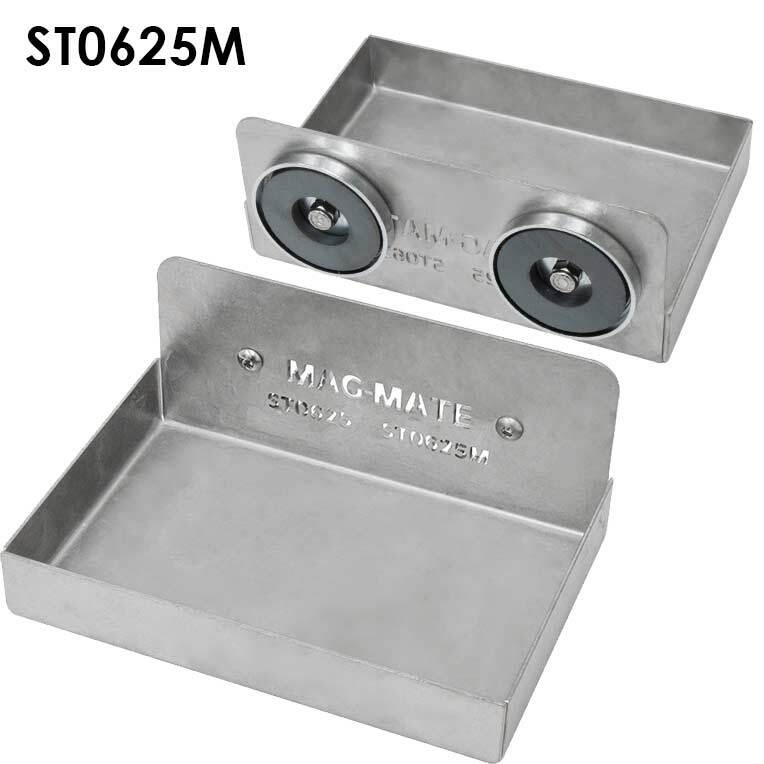 IMI's industrial strength magnetic tool holders can hold even your heaviest tools. Not all tool holders are built the same. 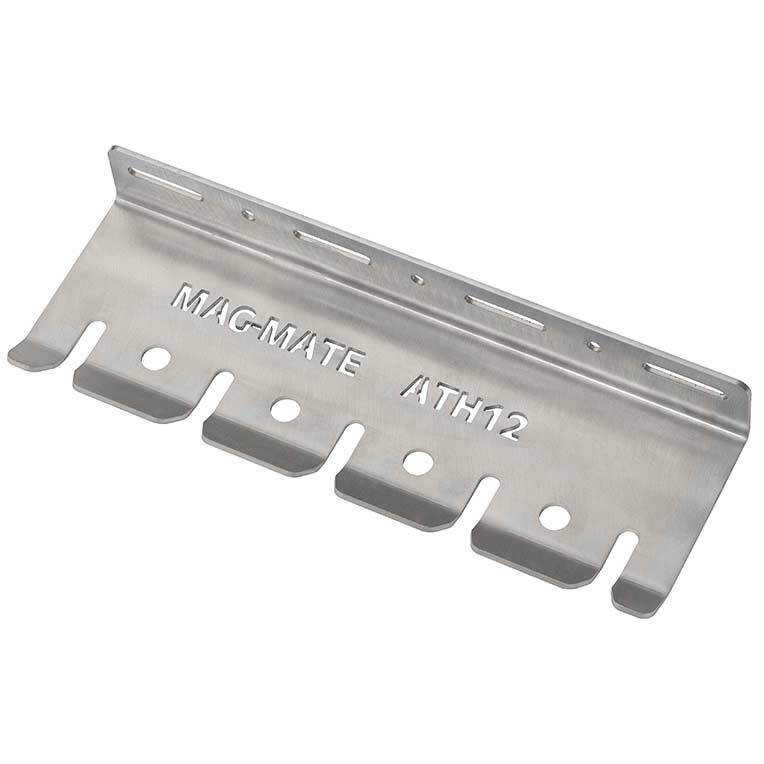 When you're choosing a magnetic tool holder, make sure it can handle the job you need it to do. 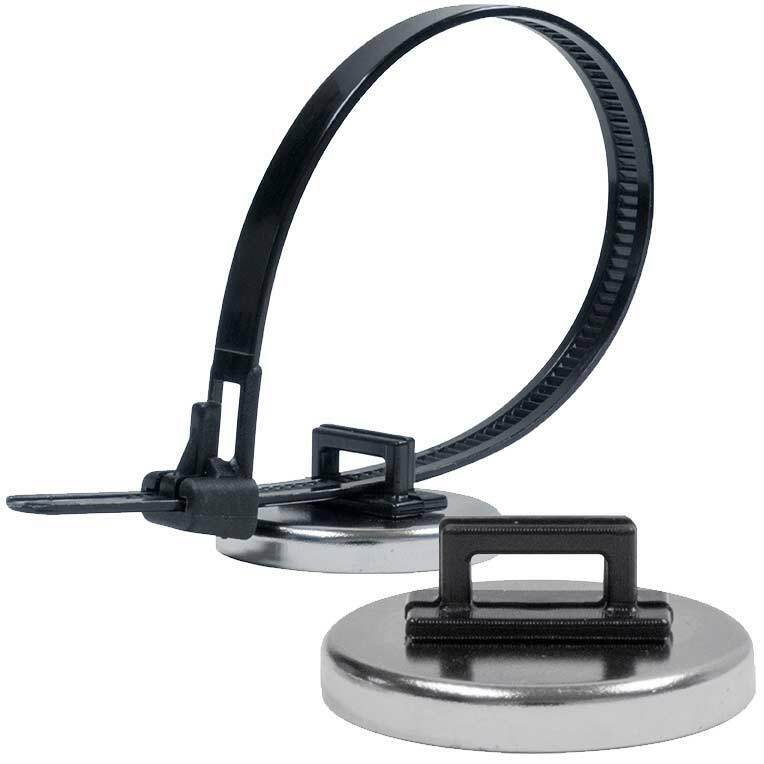 Cup Magnet assemblies or pot magnets with clamp and holders. 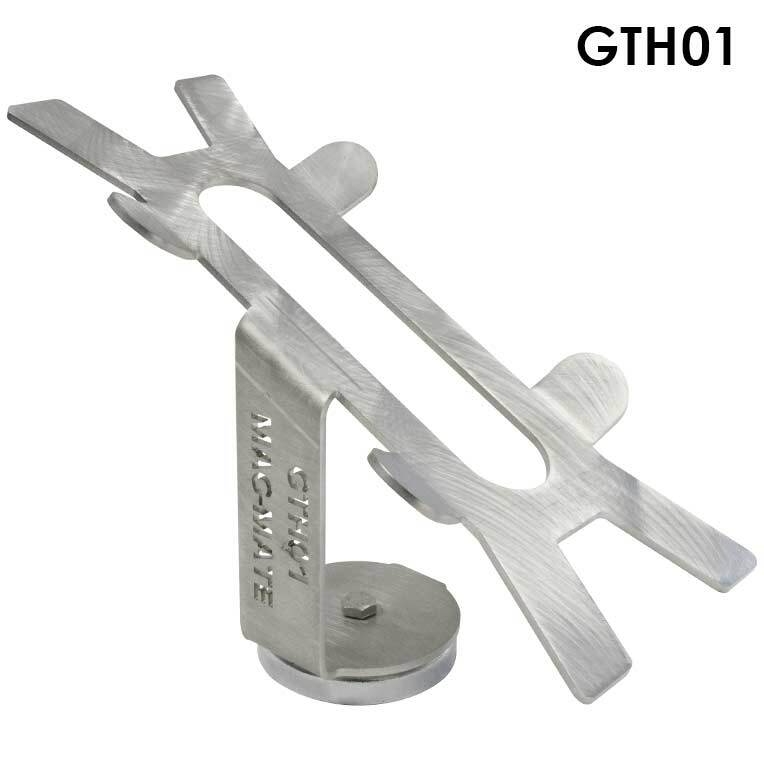 Perfect for holding and fixturing cables, tools, conduit, pipe, water lines and more. Keep all your air tools organized, neat and handy with this one-piece, Stainless Steel rack. 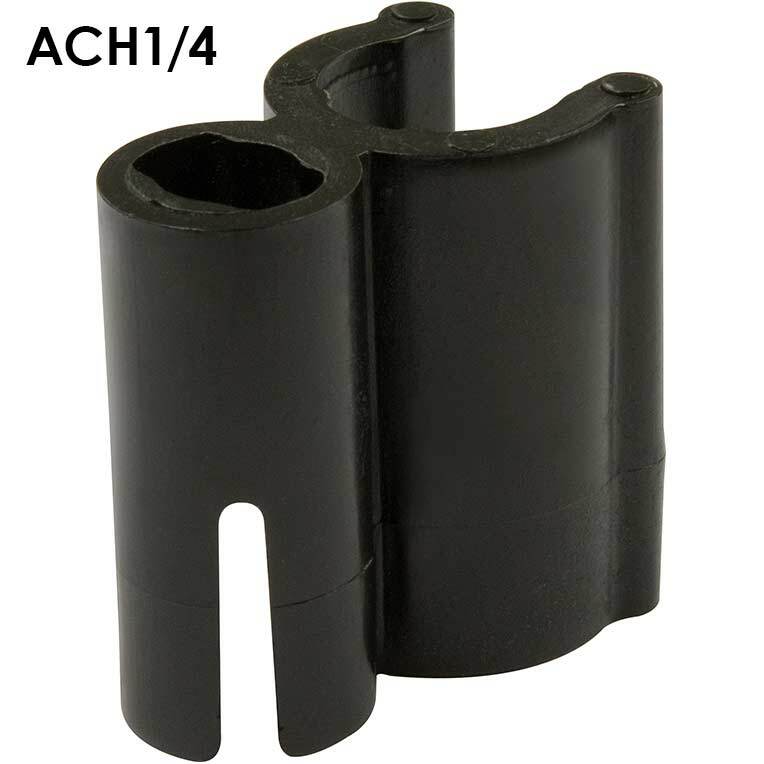 Available in three different lengths with slots for 1/4" or 3/8” air tool male couplers. Keep your can, cup, bottle, lubricant spray, etc. right where you want it. Take it with you when you move from one machine to another or anywhere there is a metal surface. The powerful magnetic Spray Gun Holder sticks through many layers of paint to hold your spray gun right where you need it. 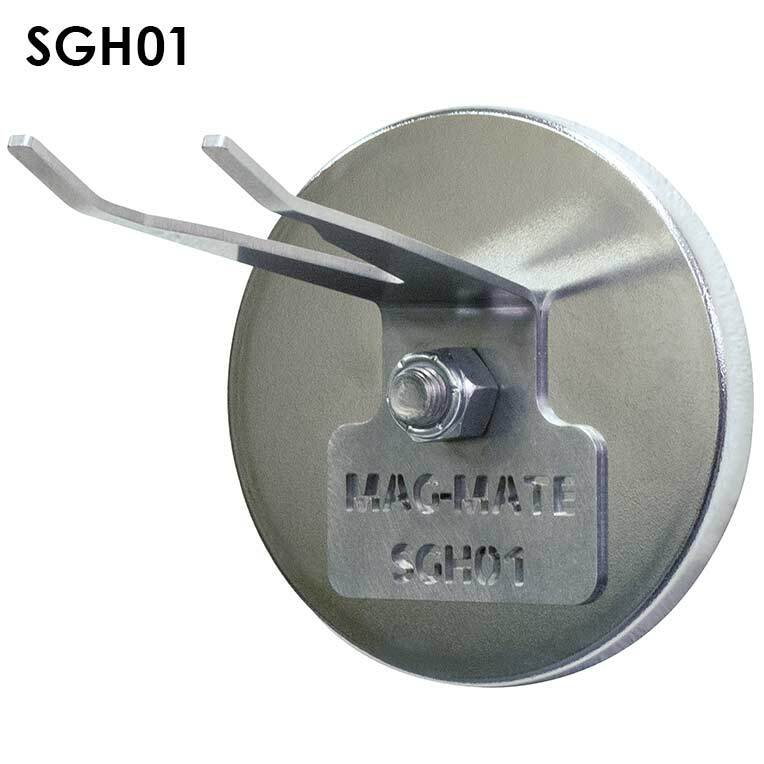 Powerful permanent magnet holds 4 inch diameter grinder wheels in horizontal or vertical positions, regardless of trigger location. 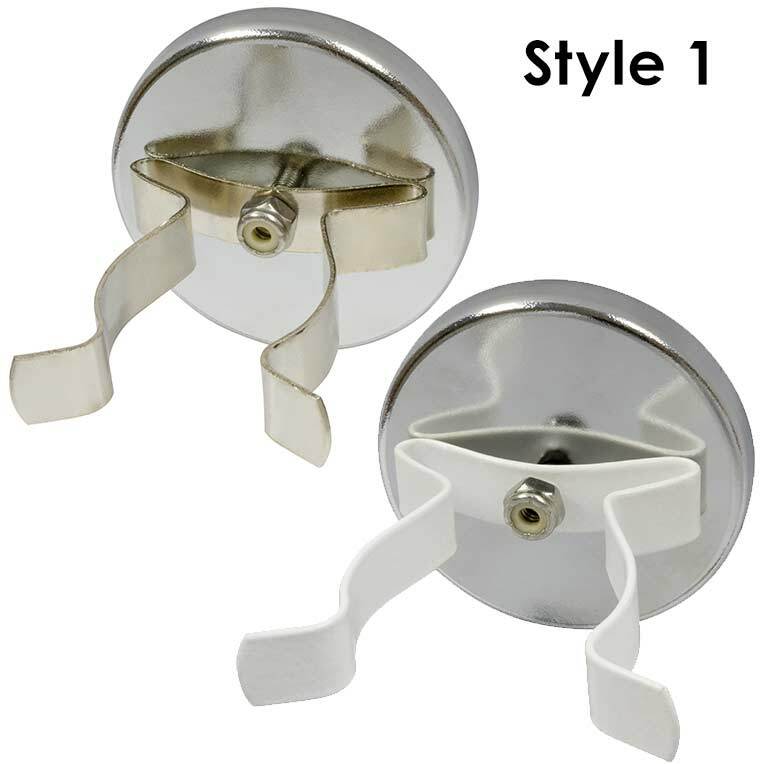 The Magnetic Hose Cord Hook/Holder provides a versatile storage solution for hoses, cords, ropes and many other items. Never search for your chuck and other fitting again. Holder keeps important fitting conveniently on your hose. This powerful tool holder with magnetic base securely holds your impact wrench on the side of your workbench - keeping it safe from damage and close at hand. 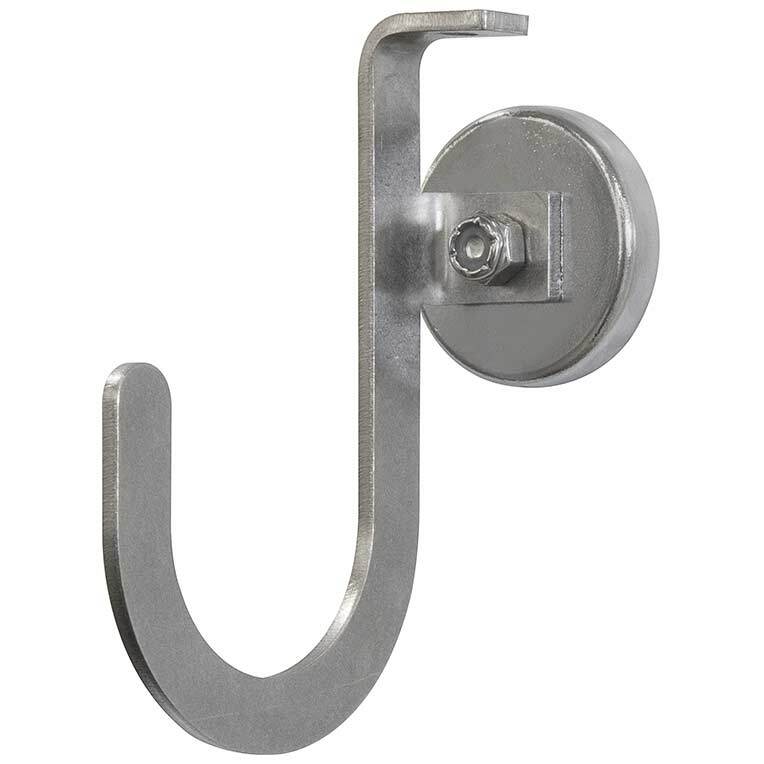 The Reversible Magnetic Hook provides a versatile hangin storage solution. the "Open" position allows for easy access and the "Closed" position secures items from being easily kncked off. J-Hooks hold cables, wires, tubing, etc. to steel walls, ceilings or beams. 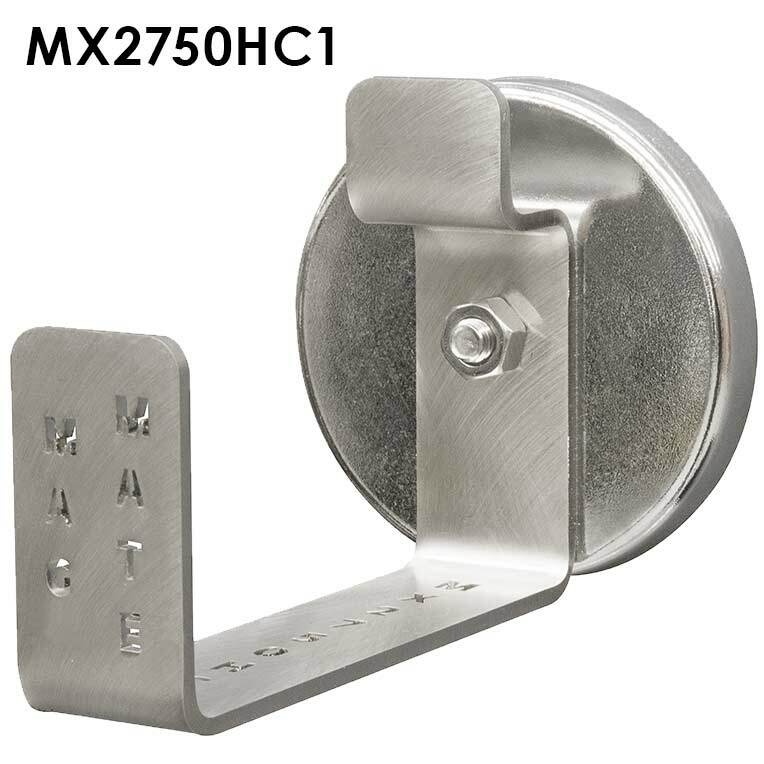 Powerful magnet can be mounted on the hook in either of two positions for wall or ceiling installation. 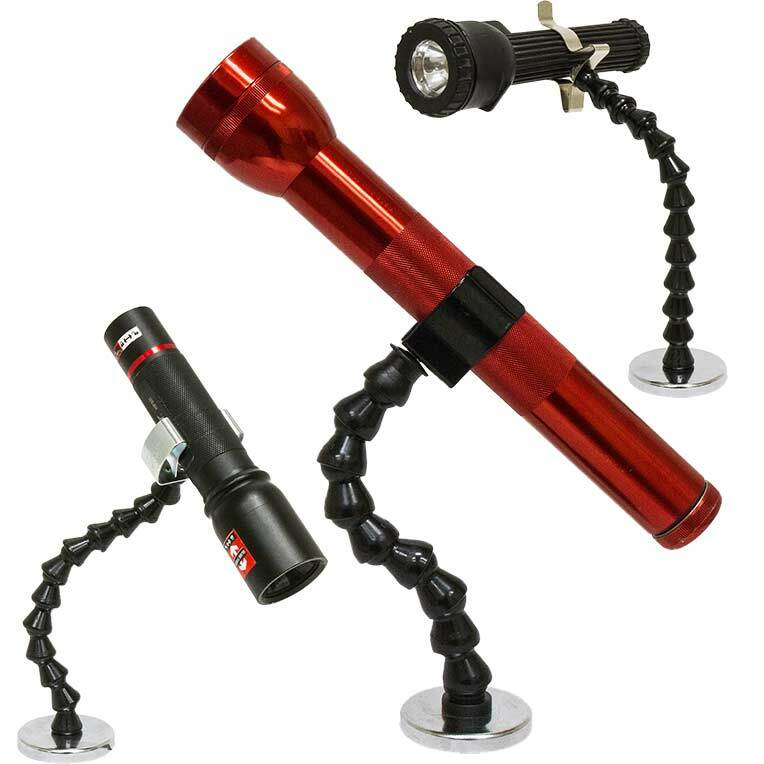 Flexible Magnetic Flashlight Holders securely hold your flashlight while you work. Secure cables and wires with these powerful magnets. 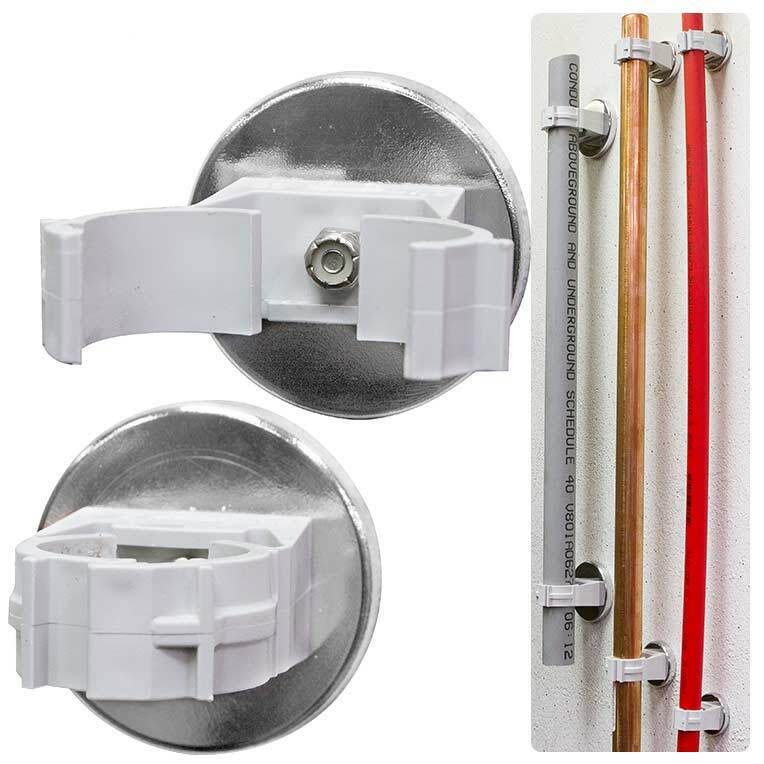 Fast installation without drilling holes. 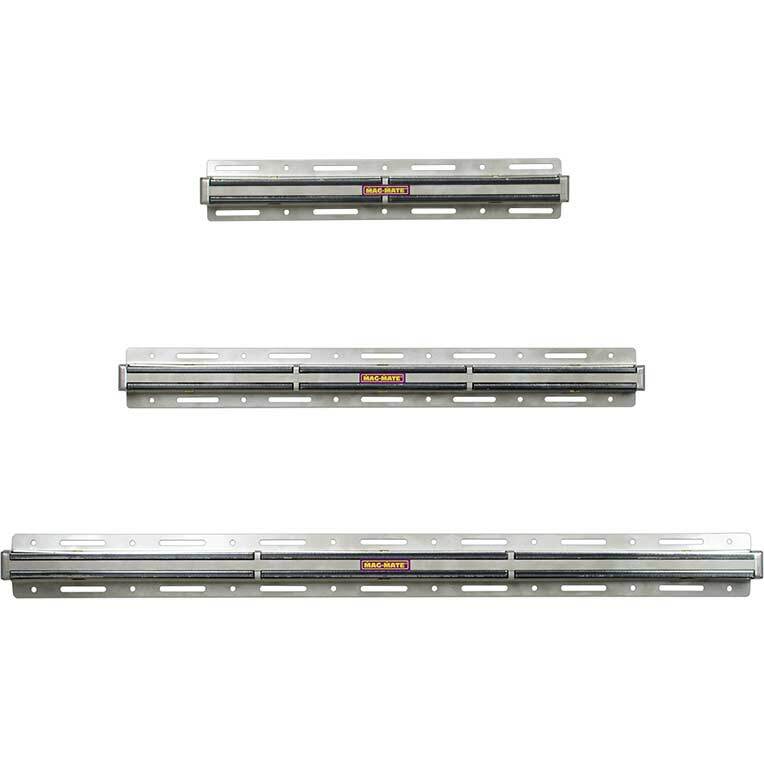 Remove or reposition magnets when needed. 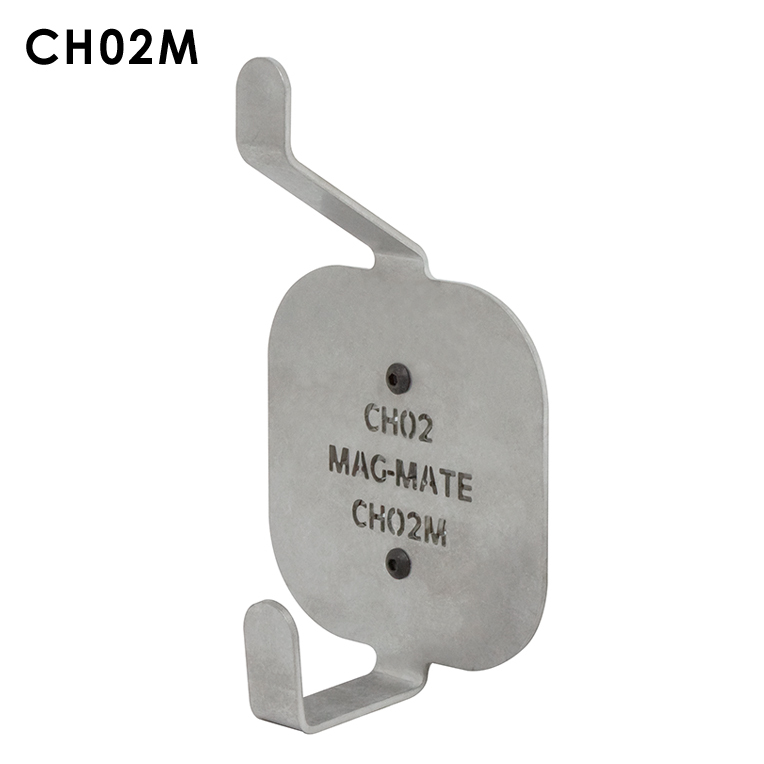 Part number MX0560RZIP6 contains 6 onepiece galvanized steel zip tie. 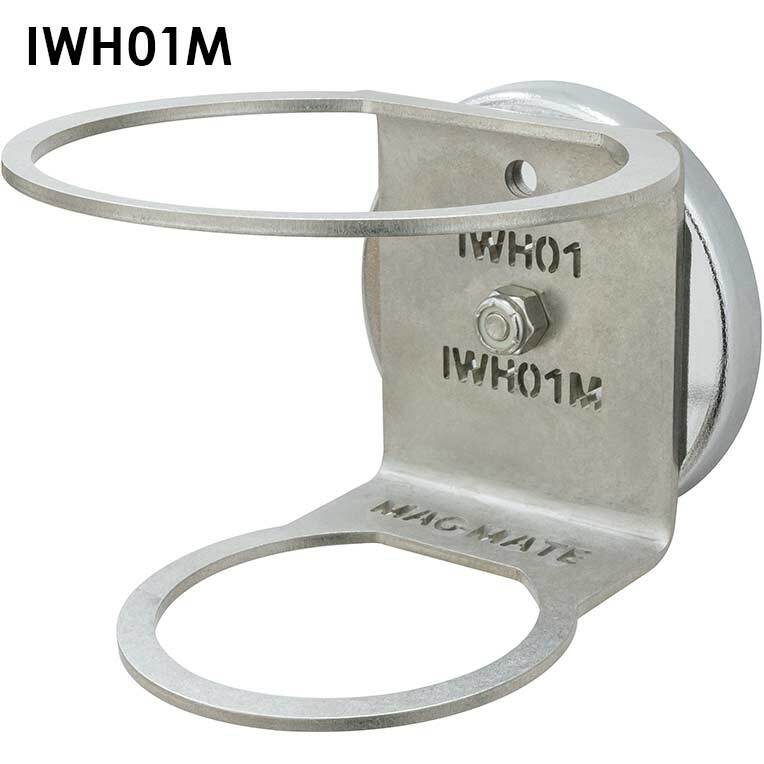 Powerful permanent magnetic clamp securely holds water lines, cables, electrical conduit, etc. to steel walls, beams or structures. They eliminate the need to drill mounting holes, making installation or future repositioning fast and easy! 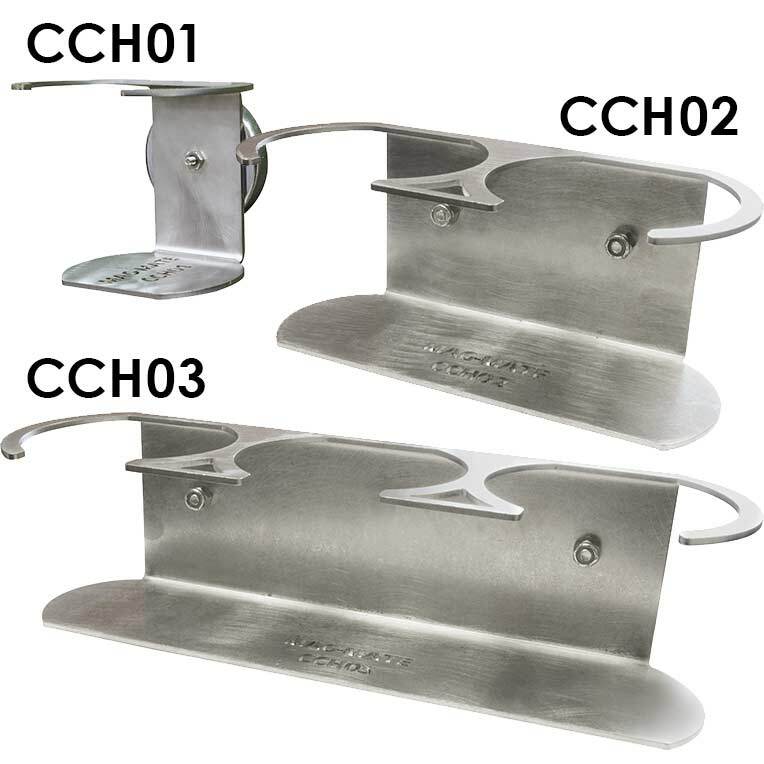 Use these coat hook holders for many storage needs, including coats/jackets, lanyards, key chains, bags, umbrellas, & more! 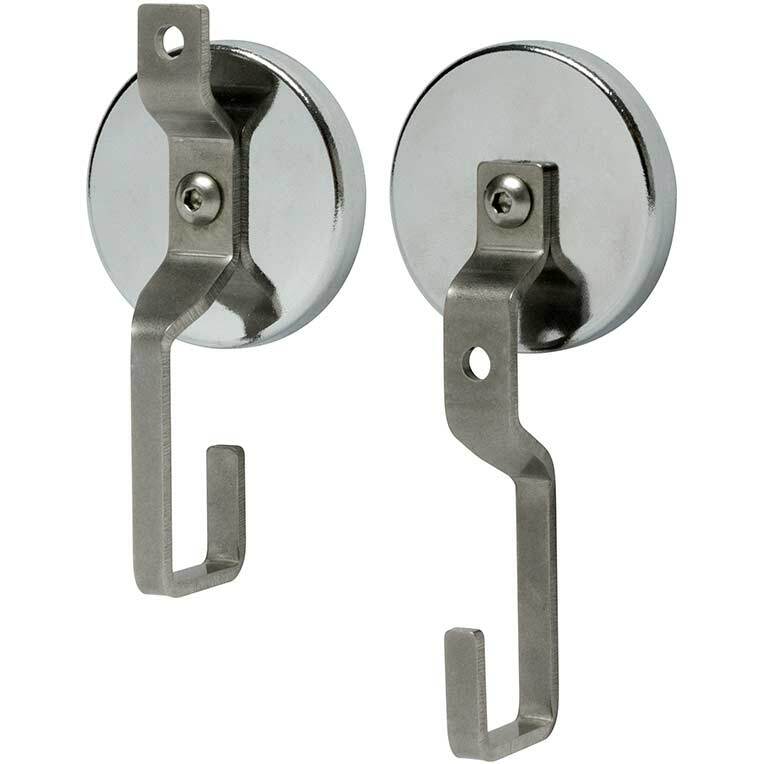 Featuring sturdy, stainless steel construction and available with and without magnets for mounting. These storage trays keep tools and other items close at hand and are available with either a sturdy, magnetic mount or direct, thru-hole mount option.